Bow Arrow was built in 1893 to care for patients from rural areas and Dartford who had infectious diseases; it took over the role of a small isolation hospital at West Hill. It did not however care for patients with smallpox. These patients were cared for on the ships or at Joyce Green for a fee payable to the Metropolitan Asylums Board. Bow Arrow was run by the Joint Hospital Committee of the Dartford Local Health Board and the Guardians of the Poor of the Dartford Union, being the Sanitary Authorities for Dartford. The Sanitary Authority came into being in 1831 when the first national outbreak of cholera occurred. There were 116 cases in Dartford and Greenhithe. To help combat the disease a local Board of Health was formed which made improvements in sanitation and housing, but the Board was disbanded when the outbreak was over. During the second national outbreak in 1848 Dartford was again affected and the Local Board of Health was reformed, this time it continued until 1894 and represents the start of local government in Dartford. The original wards at Bow Arrow were temporary and permanent wards were built in 1903-4. The hospital later became responsible for patients from Crayford, Swanscombe and Bexley. 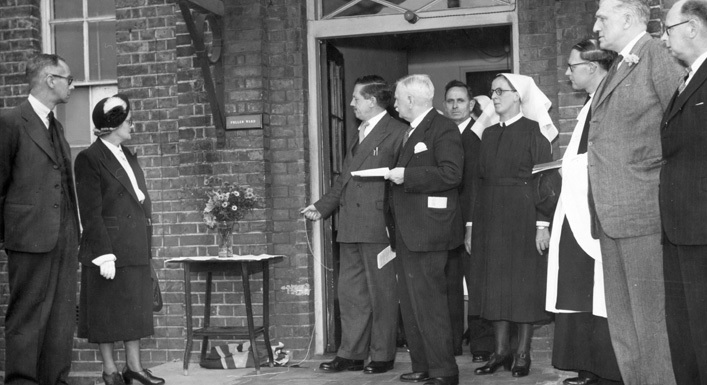 In 1935 a new nurses home was opened and the hospital became a nurses training school. One of the wards was names after Dr Thomas Farthing who died in 1958 aged 88. Dr Farthing came to Dartford in 1893 and eventually became Dartford’s Medical Officer for Health and Medical Superintendent at Bow Arrow.